Is Desktop Virtualization More Secure...? Desktop virtualization or VDI is touted as a panacea for all ills that harbour in an enterprise’s desktop environment making it more secure, and easily manageable. However; if not done right, desktop virtualization can make desktop security worse. 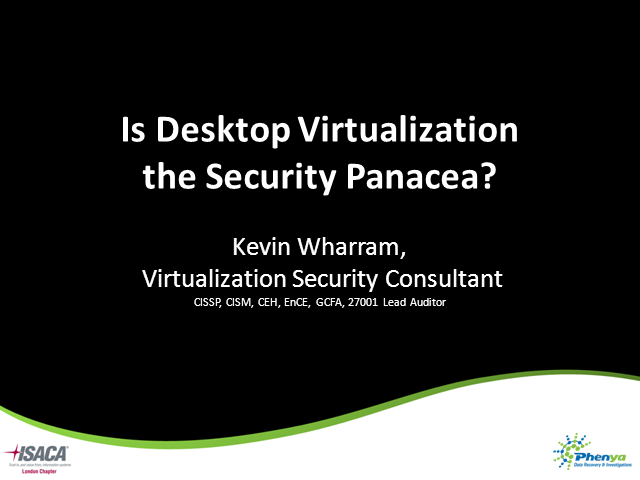 Title: Is Desktop Virtualization More Secure...?